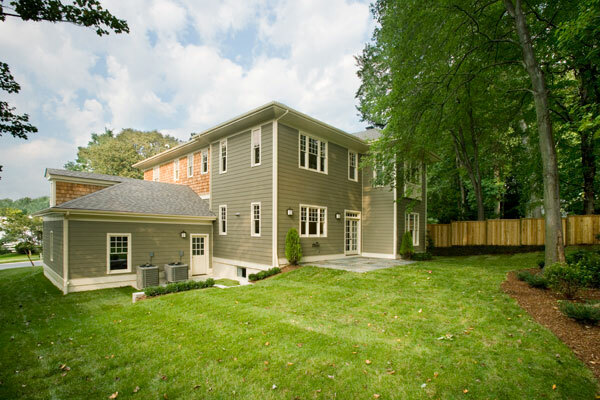 This new Classic Colonial Home has 6,672 finished square feet with five generous bedrooms and five and a half bathrooms. Walk into your stone and cedar shingle home through the alcove entry at the stone front porch and receive your guest with a built-in intercom system. 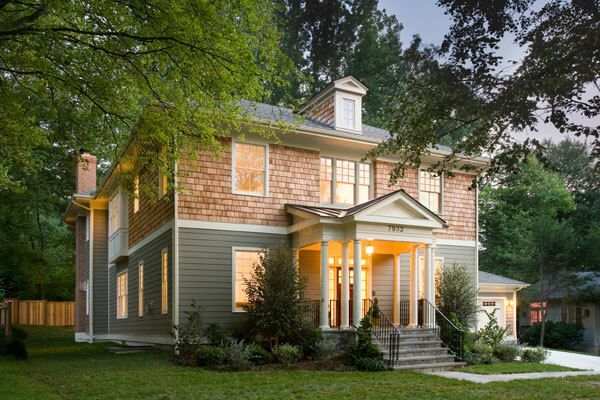 Step inside to find ten-foot ceilings and red oak floors throughout the first floor as well as a handmade oak staircase. The foyer’s focal point is an antique wrought iron chandelier. 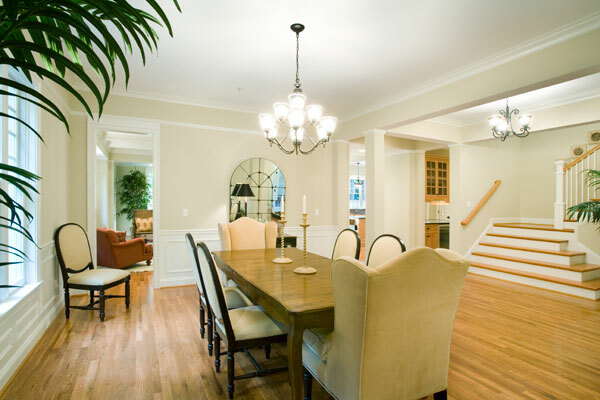 The living room, library and dining room feature crown moulding and other decorative details. Your chef’s kitchen is equipped with the latest Wolf and Subzero stainless steel appliances, cherry custom cabinetry, stone countertops and recessed lighting. A walk-in pantry with custom shelving will keep you organized. 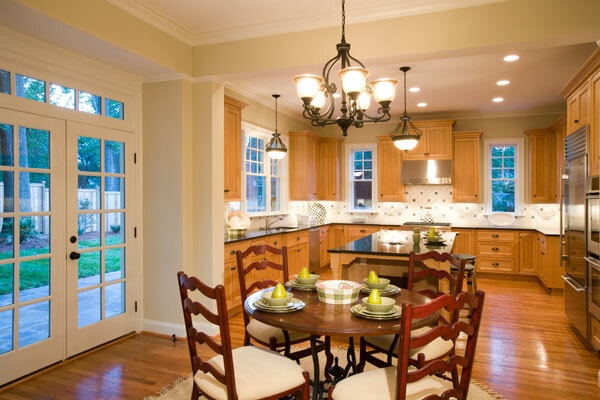 Plus, you’ll enjoy mornings in the breakfast room that opens through French doors to a stone patio. The butler’s pantry also features custom cabinetry and stone countertops, but the main focal point is its built-in wine and beverage center. Unwind in your family room, complete with a masonry wood burning fireplace and handcrafted wood mantle, and ready for your entertainment system. 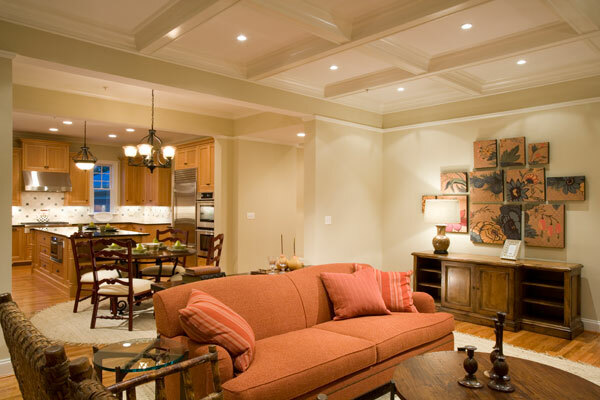 It’s decorated with a handcrafted coffered ceiling. 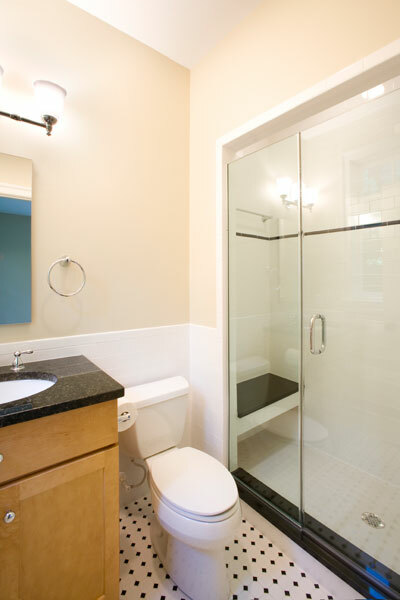 The powder room is furnished with exquisite plumbing fixtures and wall sconces. There’s a place for everything in the mud room with custom hand made cubbies and built-ins. And, there’s even more storage in the two-car garage. Upstairs, you’ll find four bedrooms, each with a private bathroom. The master bedroom suite is accentuated with a coffered ceiling and crown moulding. 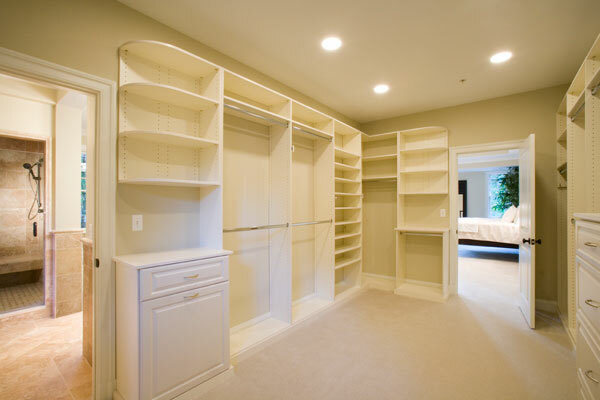 You’ll be able to keep everything in the huge walk-in closet with built-in wardrobe accessories. The master bathroom is finished in marble and also has a coffered ceiling and crown moulding. Luxurious features like the antiqued painted wood and stone double vanity; glass shower with bench and multiple showerheads; built-in Jacuzzi; and separate toilet room will make you feel like you stepped into a spa. Your guests will relax in their own suite complete with private bathroom and walk-in wardrobe. The two additional bedrooms also feature their own bathrooms and private wardrobes. A unique open study has plenty of room for computers, homework and games; while a laundry room eliminates carrying heavy clothes up and down stairs and the built-in washer and dryer washes large loads. 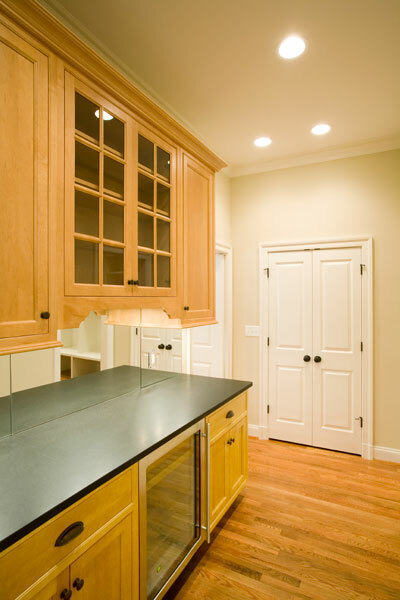 Ample cabinetry and counters make laundry less of a chore. Finally, the basement offers even more space to enjoy, with a large two-room recreational room with space for your home theater; a large workout or media room; an additional bedroom and bathroom; and a large finished storage room.